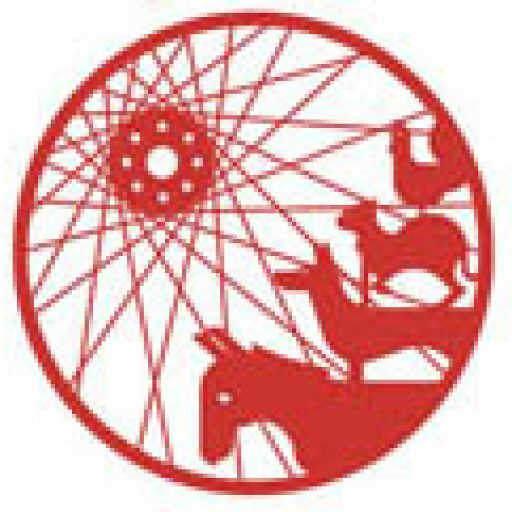 Protected Bike Lanes: Solving the safety conflict? People who are involved with transport politics are continuously confronted with the issue of safety. Bike lanes are rejected, supposedly because of safety, while others demand them for exactly the same reasons. Cycling on the road is recommended by some as being safer, while others strongly reject such use for exactly the same reasons. In discussions around cycle transportation, so-called „objective safety“ is pitted against a subjective sense of safety and comfort. 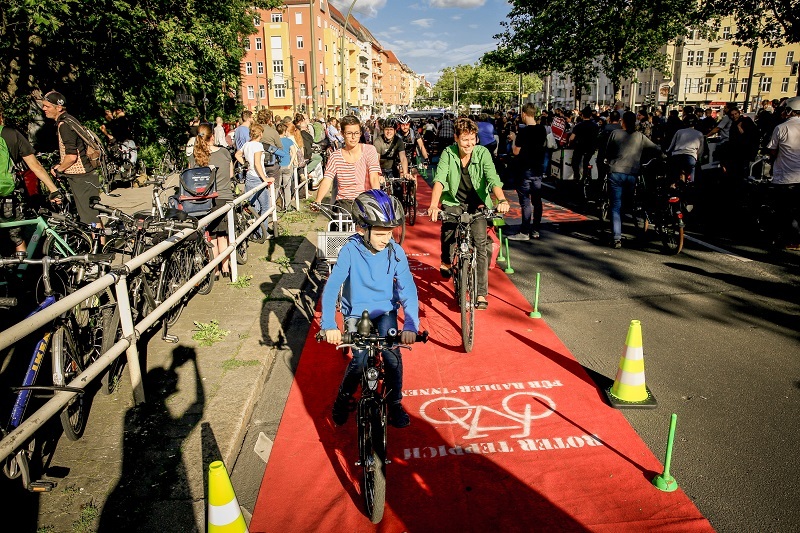 In the Netherlands “sustainable safety” is recommended, Copenhagen prioritises „subjective safety.“ And now there’s a new version, the “Protected Bike Lane.“ This starts sounding somewhat complicated, so we need to clarify: What is being discussed? Who is saying what about safety, and why? 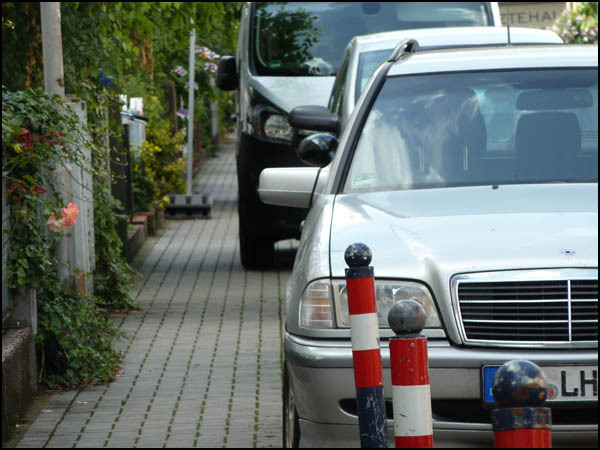 Breaking News: We are allowed to park legally in Bremen! Who would have believed that? Wasn’t the rule of the law abolished in Bremen? 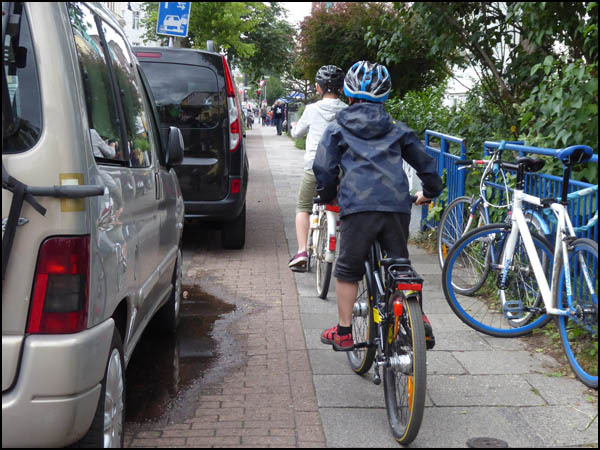 Didn’t they allow everyone to park illegally, on pavements, on cycle paths, on junctions, in the park, you name it? 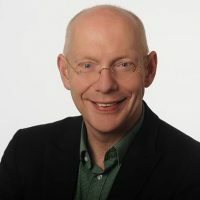 Ralph Saxe – Transport Revolution In 2019? We’ve had enough! More and more cars fill our streets, less and less space for everyone else. So what could a CarSharing (Car Club) system do for us? 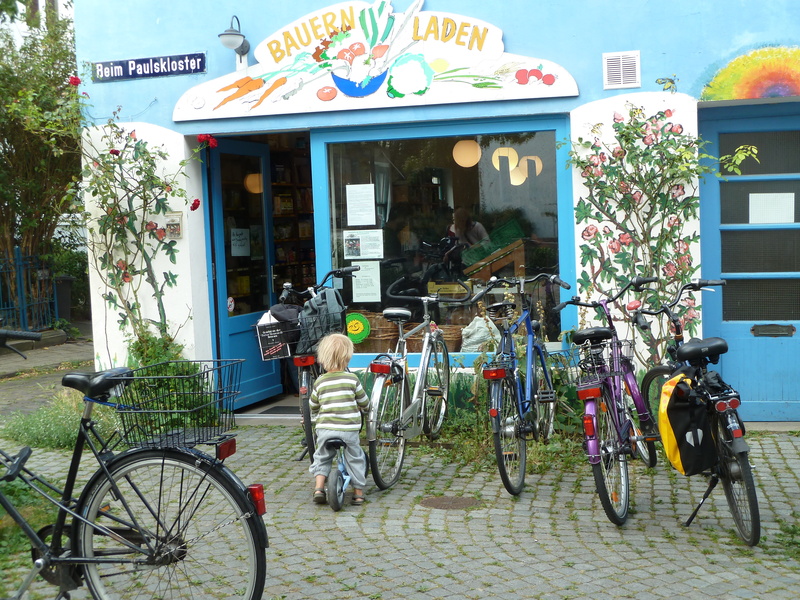 If several people share one car we need less of them, and fewer parking spaces are needed. In Bremen nearly 15,000 people use Cambio. Founded 30 years ago as a community association called „Stadtauto“. 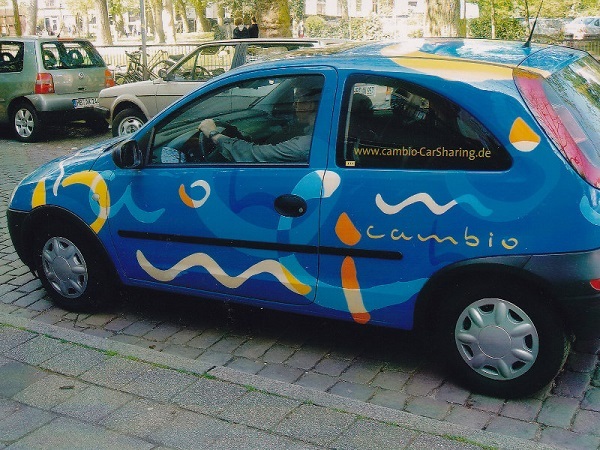 Right now (May 2018) Cambio offers 331 cars of different sizes, based at 91 stations around the city for 14,800 users in Bremen und Bremerhaven. 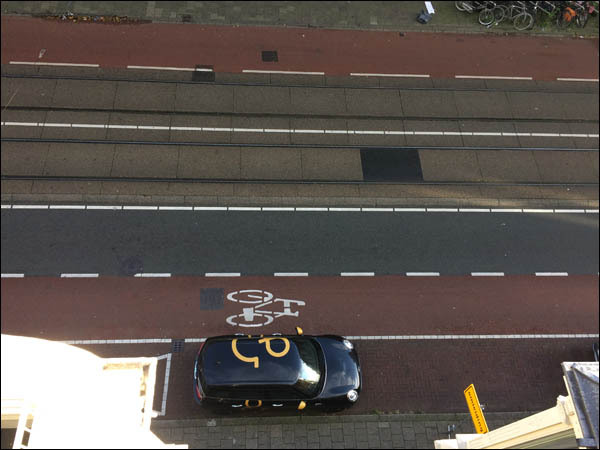 The Amsterdam approach to car parking which we previously outlined is also regarded as a model for the European Push & Pull project. Push-Pull is essentially a package of carrot and stick policies: I’ll take something away from you, e.g. Free parking, and give you something back, e.g. more trams, quality cycleways, safe pavements.In short: improved quality of life through better mobility. Is Parking a Basic Right? What does our community do when it offers free parking for almost everyone? Do free parking spaces constitute a needed public service such as education or health? Why am I allowed to buy a car without having to think about where I can park this car, day or night? Why am I paying rent or property tax for my house, but use free public space to park my private tin can?